Imagine this: a local community college board of trustees is meeting to discuss deferred maintenance issues and safety just hours after national news outlets start covering a deadly building collapse in another city. Is there any chance that the meeting would occur with no mention of the events of the day? How likely is it that the school board members will ask everyone to have a moment of shared silence and consideration for the victims? As the arts community begins to request a role in planning and community development our responsibilities are shifting. This is a tale of opportunity squandered. It’d been a long time since I was in Minneapolis with some free time for an art adventure. So when the workday looked to be ending in time for an evening performance, I asked around at an artsy reception the day before: What theater should I see on Thursday night? Many offered suggestions—there are a lot of shows in that city. 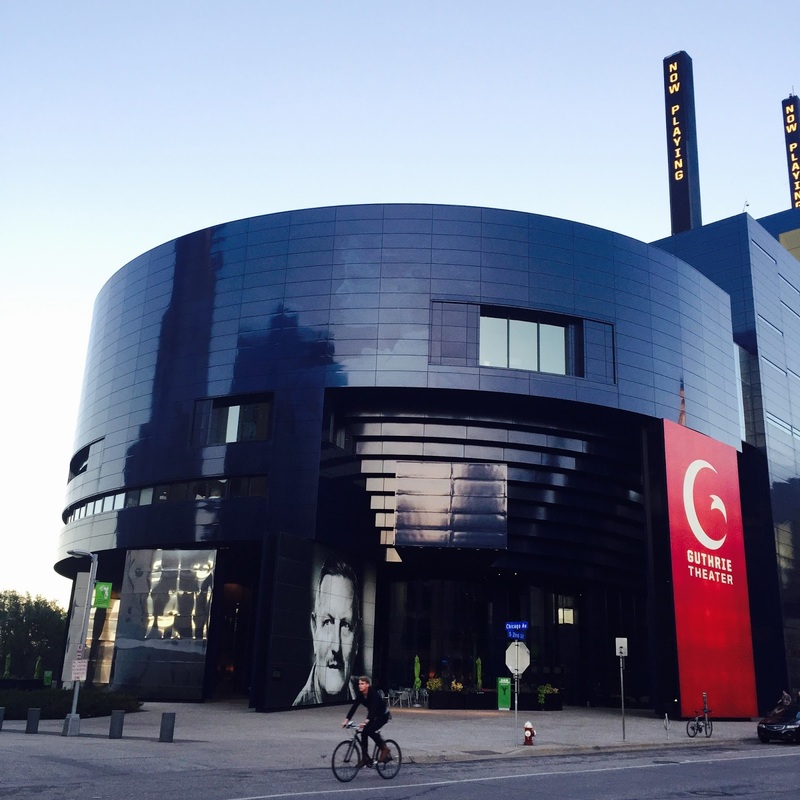 The most passionate recommender heralded The Events, a play in previews at The Guthrie. I’d never been to The Guthrie and was curious about the space, and the atmosphere. The play was described movingly as one inspired by community response to a mass-murder in Norway. And as this out-of-town production company presents the show, it always engages local choirs to take the stage, with the singers taking on small roles in the story. The play’s theme—a community coming together after a tragedy—and the participatory engagement of local artists, intrigued me. I spend so much of my work time thinking about and creating art that crosses boundaries, strives to build community, and includes citizen artists in creating the art. On the day of the show, news broke early that there had been another campus mass-shooting, this one in Oregon. By the time we were taking our seats, the shooter was dead, and so were a reported nine others, whose lives he had taken. We had no sense of why. The theatre space at the Guthrie is memorable, but this hall is not intimate. It’s up to the show to create the connections. I found the play mostly fascinating. The actors are high-passion and energy; one of the leads takes multiple parts, and near the beginning offers a long monologue while jumping rope (fast and hard) the whole time. The anguish and confusion of the characters was palpable. The singing was sweet and sad. The final song delivered, making me cry, as the choir sang the words “We are all here….”, and there was a momentary feeling of community in the cold theatre space. But then the show’s producers failed us. While they reportedly offer a talkback after some shows, they chose not to do so on this night. No one took notice of the day’s events from the stage. It was a perfect moment for conversation about the nuanced and confusing narrative of this play. And it was a night for coming together after the pain of another mass-killing, in a country that seems unable to find a way to address the problems that contribute to these events. So the mood shifted. I left feeling let down and empty. The Events seems designed to show the humanity of community, and the contribution of music and singing in a group to address pain. This goal was undermined by an obvious omission: the failure to take the time to discuss the events of that very day, and how we felt about them after seeing this play. If we’re serious about being a partner in community development efforts, we’ll have to be attentive to and prepared to act in these moments, and in those that are less obvious as well. There are many examples of artists and arts organizations doing so, like the Boston museums remaining open free-of-charge to all after the Marathon bombing. It’s on us, the arts producers, to notice those moments and do what we can. There are times when we can’t, and not all organizations and artists are built to do this. Still, the producers of The Events failed us, the community that its audience might have become that night.